Dax Villanueva: Vergenoegd – satisfaction has been achieved! Satisfaction has been achieved. That’s the meaning of the word Vergenoegd, which is also the name of the first wine farm you’ll encounter on the Stellenbosch Wine Route if you come from Cape Town via the N2. Turn left onto Baden Powell Drive and you’ll very shortly see Vergenoegd wine estate on your right hand side. 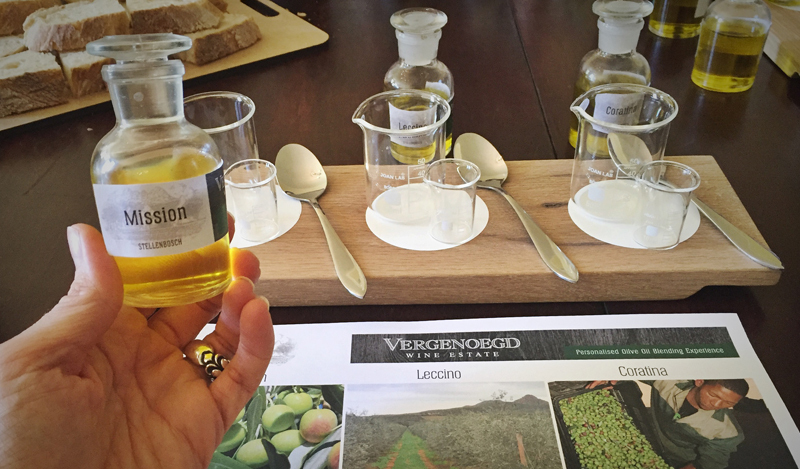 Vergenoegd olive oil blending experience. Like many or most other wine estates, Vergenoegd offers wine tasting, picnics and a beautiful environment. But what sets it apart is the blending experiences available to visitors. There are currently four blending experience to choose from: Wine, coffee, tea and olive oil. Wine blending gives visitors the opportunity to learn about the characteristics of different varieties and to experiment with blending them to produce a combination that showcases the best of each. This is an activity that is offered by several other wine estates, but when it comes to coffee, tea and olive oil blending, Vergenoegd has a unique offering which appeals to a range of consumers, especially those who may not be interested in wine or alcoholic beverages generally. Vergenoegd does not grow coffee, tea or olives but there are plans to potentially develop some olive groves in the future. The estate currently works with suppliers which are renowned for the quality of their products, sourcing different components of each which are distinctive but complementary. Participants in the blending workshops will be introduced to the individual varieties and taste them to identify their characteristics. Then they will mix carefully measured amounts of the individual varieties and taste the resulting blends. Participants are encouraged to identify their favourite blend which they can then order and it will be specially packaged for them to purchase at the cellar door at the end of their visit. 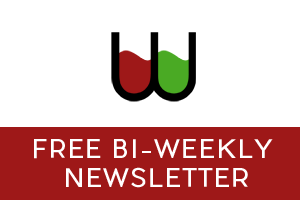 Olive oil is something that is present in most kitchens and this is a fantastic opportunity for people to become more familiar with olive varieties and understand the impact they have on a blend, producing milder or fruitier oils. Armed with this knowledge, consumers can make educated choices when shopping for olive oil, purchasing an oil which suits their taste preference, rather than whatever is cheapest or has the nicest bottle. 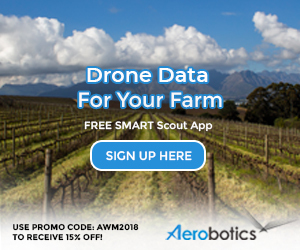 Visitors that plan correctly can arrive early enough or leave late enough to catch the army of ducks on their way to or from their work-day in the vineyards where they feast on snails and snail eggs. The sight of hundreds of ducks waddling past is quite something to behold. A great way to pass the time while waiting for the ducks is a picnic on the lawns. The food is amazing and it goes nicely with Vergenoegd wines (and olive oil! ).